Are you intrigued by the reported benefits of black cohosh yet scared by the surrounding controversy? We combed through research studies and clinical trials to give you the best available information on the use of black cohosh, so you can decide whether it is right for you. Continue reading to learn about black cohosh safety, uses, health benefits, and side effects. Black cohosh is a herb of the buttercup family native to North America. It is the root of this tall, yellow and white flower plant that is the star of the show. It has been used for centuries for medicinal purposes. Native Americans first used it to treat menstrual problems, pain, cough, fever, and pneumonia. They then introduced it to European settlers who used it to treat female reproductive issues. Today, it is used in the popular form of a supplement. Let’s look at the health benefits linked to black cohosh due to its anti-inflammatory, sedative, and analgesic properties. The components of the herb mirror the effects of naturally produced estrogen and serotonin. It is also found to have tannins, isoflavones, triterpenes, and essential fatty acids. Please note that while some of the following benefits have been backed by scientific evidence, results have been mixed. It is always best to consult with your doctor before taking any medicinal herb. Black cohosh menopause effects are primarily responsible for the herb’s popularity in the last century. Research has found the estrogen-like response in black cohosh increases the low levels of estrogen most menopausal women experience. For this reason, it is believed to act as a natural hormone replacement. Studies have also credited the root with treating several menopausal symptoms such as hot flashes. The University of Maryland Medical Center cites a study following 120 menopausal women taking black cohosh supplements. It found the herb was more beneficial than the prescribed antidepressant fluoxetine, also known as Prozac, in controlling hot flashes and night sweats. Along with other studies, some researchers believe the plant extract can be a safe alternative to medical hormone replacement therapy and also help with sleeping issues in menopausal women. It should be noted that not all professional research groups agree on the long-term effects of the herb with menopausal symptoms. Many advise use of the herb for short-term periods only. The American College of Obstetricians and Gynecologists (ACOG) acknowledges the menopausal benefits but cautions the results of some studies beyond the six-month period. Premenstrual symptoms and irregular periods may be treated with black cohosh. Studies suggest it allows muscles to relax, easing tension that causes muscle cramps. Black cohosh may also help encourage bleeding in those who have irregular periods. The ancient use of the herb was primarily to treat pain from nerve tension, muscle strain, and injuries. It has been used to help ease muscle tension and ensure nerve function by preventing spasms and cramping. Inflammation of body tissue may be treated and possibly prevented with regular use of black cohosh. It contains salicylic acid that some say can replace the use of aspirin for headaches and body pains. Arthritis patients may find less joint pain and inflammation with the use of the natural alternative. Other anti-inflammatory uses may include high blood pressure, congestion, sore throats, cardiovascular disease, and blood clot prevention. Black cohosh has been credited with helping digestive issues by increasing the function of nutrient absorption and promoting regular waste removal. With these abilities, you may have less cramping, constipation, nausea, bloating, and gas build-up. Black cohosh is used by many for pain management as it has natural analgesic properties. For times when daily worries rob us of sleep, black cohosh may help. As a natural sedative, herbalists believe this herb relaxes the tension from anxiety, insomnia, and stress to promote a sound sleep. It may assist in creating a regular sleep routine. The powerful components call for the plant to be used on its own— not in conjunction with other sleep aids. As shown in studies of menopause hormone effects, black cohosh may balance hormones. This may aid in the release and management of hormones for a stable mood, preventing mood swings. As such, it is thought to help with cases of depression and tension from stress. The possible black cohosh weight loss effects vary depending on the study. As the body increases fat cell production for estrogen access when estrogen levels drop during menopause, it is thought some women gain weight during this time. Those taking it have shown weight loss during this time. Weight loss at any time in life can help prevent high blood pressure, heart disease, high cholesterol, diabetes, and stroke. The National Institutes of Health’s Office of Dietary Supplements counters with the caution that black cohosh may cause weight gain in some women. Web MD supports this opinion. There is research into the benefits of using black cohosh for reducing effects of osteoporosis, mainly bone loss. The biological components and phytoestrogens of the herb are studied to be used in treatment for this condition. With all of the discussion between experts on the use of black cohosh, the common agreement on a beneficial time length is six months to one year. Black cohosh dosage amount clearly depends on the specific use of the herb, the product manufacturer, the additional ingredients as well as the form taken. A missed dose should not be compensated with an extra dosage or additional amounts at the next dosage time. Mayo Clinic offers the following information on dosage for various conditions based on clinical studies. A common result in studies show taking 6.5 to 160 milligrams orally of a form of black cohosh for one year has positive effects on symptoms. Other dosages shown to be effective include 40 drops of black cohosh liquid extract for up to six months and increasing dose from 64 to 128 milligrams over a four-week span. Postmenopausal women may take 40 milligrams orally for three months. Postmenopausal women have taken 40 milligrams orally for three-month intervals, giving the body a break for a three-month time period in between. To boost chances of a successful conception, 120 milligrams orally for 12 to 13 days. To combat mood swings in postmenopausal women, 128 milligrams of ground black cohosh is recommended. It should be taken orally once a day for one year. With breast cancer patients, if black cohosh is used for those symptoms similar to menopause, it is suggested to use one to four doses of 2.5 milligrams in tablet form over a six-month period. This should be taken with tamoxifen. Other recommendations include 20 milligrams daily for one year and 20 milligrams twice a day for up to six months. There is insufficient evidence on its safety for patients under the age of 18. 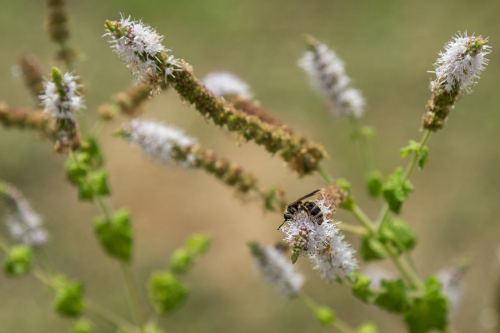 While taking black cohosh, there are several things to keep in mind, based on research results. We do want to note that the U.S. Food and Drug Administration has not approved the herbal remedy for medicinal purposes. Use as directed on product label. Follow storage instructions, shielding from moisture and light. Avoid use if sensitive or allergic to plants of the Ranunculaceae family. Use caution if pregnant as many studies suggest it may harm the fetus. There is insufficient evidence on the effects of black cohosh used by breast-feeding mothers. Black cohosh has gained popularity since the 1950s as a cure-for-all, but mainly for dealing with menopause symptoms. Researchers’ opinions differ on black cohosh safety and medicinal uses, with varying results of clinical studies. Black cohosh pregnancy use is also controversial as it has been used to help with fertility and inducing labor. It is important to understand the properties of any herb and discuss use with a medical health professional or a certified herbalist. “9 Impressive Benefits of Black Cohosh,” Organic Facts; https://www.organicfacts.net/health-benefits/herbs-and-spices/black-cohosh.html, last accessed April 4, 2017. “Black Cohosh,” University of Maryland Medical Center; http://umm.edu/health/medical/altmed/herb/black-cohosh, last accessed April 4, 2017. “Black Cohosh,” Web MD; http://www.webmd.com/vitamins-supplements/ingredientmono-857-BLACK+COHOSH.aspx, last accessed April 4, 2017. Qui, Sx, et al., “A triterpene glycoside from black cohosh that inhibits osteoclastogenesis by modulating RANKL and TNFalpha signaling pathways”, Chemistry & Biology, July 2007; https://doi.org/10.1016/j.chembiol.2007.06.010, last accessed April 5, 2017. “What is Black Cohosh?” Everyday Health; http://www.everydayhealth.com/drugs/black-cohosh, last accessed April 4, 2017. Ferrara, D., “The Effects of Black Cohosh in Weight Loss,” Live Strong, June 27, 2015; http://www.livestrong.com/article/289569-the-effects-of-black-cohosh-in-weight-loss/, last accessed April 5, 2017. “Black Cohosh Benefits,” Herbs for Menopause; http://www.herbs-for-menopause.com/black-cohosh/black-cohosh-benefits.htm, last accessed April 5, 2017.